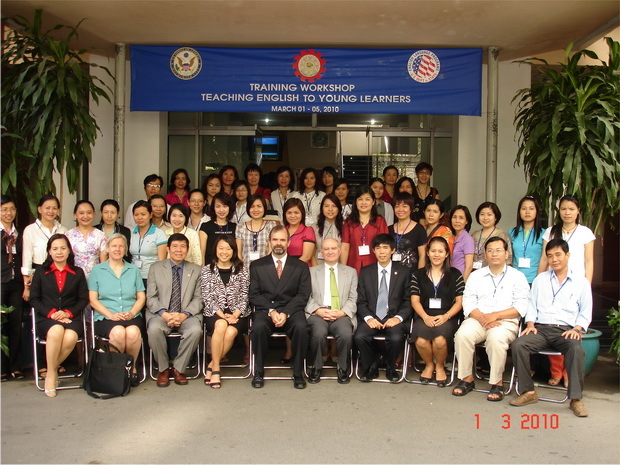 The five-day workshop on “Teaching English to Young Learners” conducted at SEAMEO Regional Training Center (Vietnam) and supported by the Regional English Language Office in Thailand and the the US Conculate General in Ho Chi Minh City commenced on March 1, 2010. 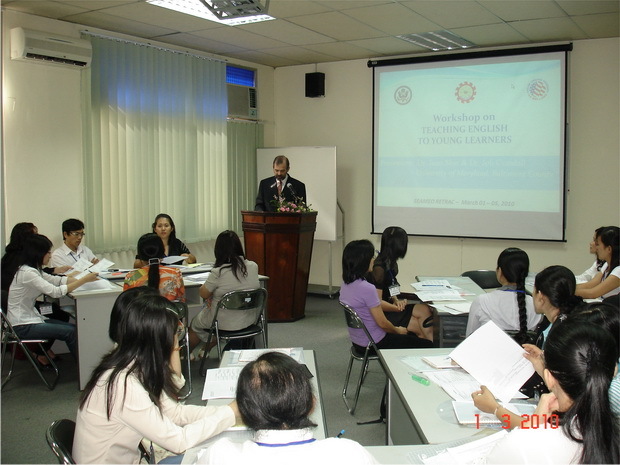 Attending the workshop are 36 English teachers in primary schools, teacher trainers at colleges and universities, and English language specialists in different provinces in Vietnam. The presenters are the two prominent professors of English coming from the University of Maryland, Baltimore County, USA. 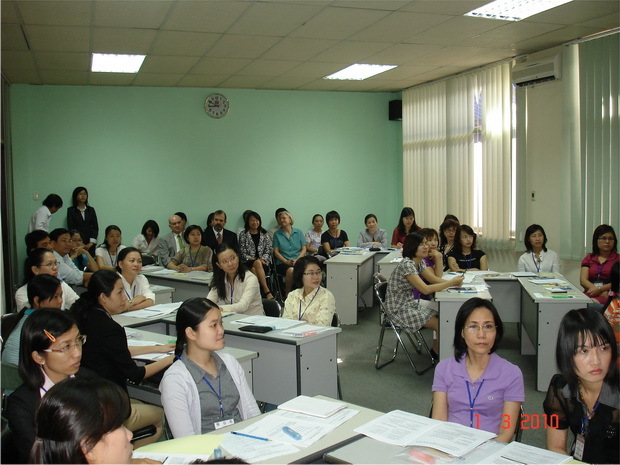 By the end of the workshop, the participants will learn how to teach young learners English effectively and develop their own workshops for teachers in Vietnam.